It's been another one of ~those~ weeks so far, a bit of an emotional roller-coaster shall we say? However, surprisingly, I've found it quite easy to note down little moments that have made things easier and put a smile on my face. What better way to kick off this week's Wonderful Wednesday than with the beautiful Royal wedding! I cried, I laughed, I screamed with joy, then I cried a little more. It really was rather lovely, wasn't it? 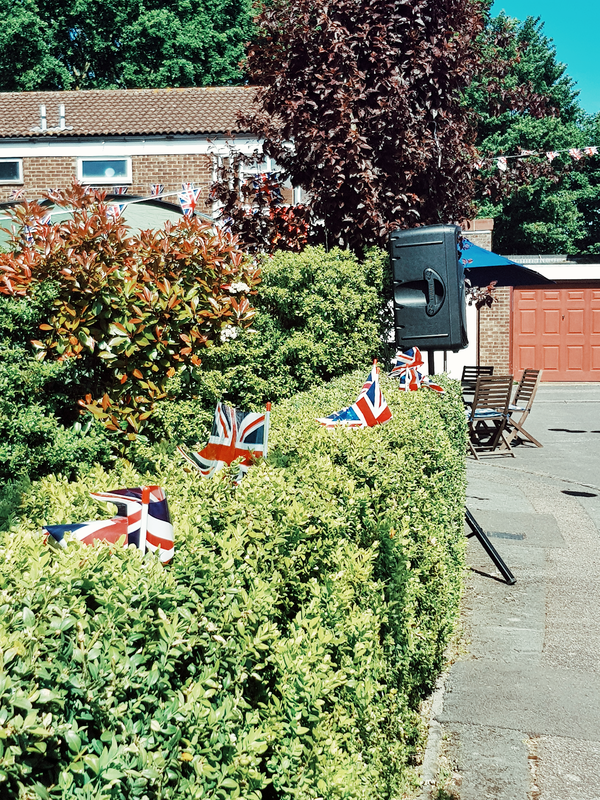 After I'd watched the wedding, I attended my first ever street party! There was a bouncy castle, a paddling pool, lots and LOTS of food, music, and games for the children. The weather was beautiful and I had a really lovely day. G has been in Portugal since Sunday on a golfing holiday. I don't think we've ever spent this much time away from each other and it's been...weird. However, I'm grateful that we've had this time apart because it's given me a chance to miss him. I've also really enjoyed waking up and popping the TV on in the bedroom. It was something I used to do before G moved in but as he starts work a lot later than me, I've had to give up getting ready with Good Morning Britain in the background, he's totally worth it though! Yesterday wasn't a great day for me. I was emotional and in SO much pain (damn you, time of the month) but luckily, we finished work early which meant I could return to my bed, finally take some ibuprofen, and watch the rest of Evil Genius (OMG, how good is it?!). Christine has done it again! I am in love with her new song Girlfriend, it has such an 80's vibe and yeah, you should just all go listen to it right now. Another advantage of G being away is that our bedroom has actually stayed tidy (sorry hun). There's no plates or cups left on the bedside table, no clothes sprawled across the floor, just a nice tidy space. I've been looking at places for me and G to go for our anniversary in a few weeks. Our first little getaway was to Stratford-upon-Avon and G suggested that we could return there. I found the little cottage we stayed in online and had a flick through the photos on the website, it just brought back all those memories - good and bad! I decided that we should go somewhere new and I think we're going to have two nights away in Whitstable and Canterbury. If you have any suggestions - things to do, to see, places to eat etc - please send them my way! Ahh, I needed that. So very much! There's even more to go around too, see what the rest of the wonderful team* have been celebrating so far this week, and if you want to join in yourself, share your #wonderfulwednesday moments with us on Twitter!